Concerns over Large Panel System construction triggers three-block replacement. 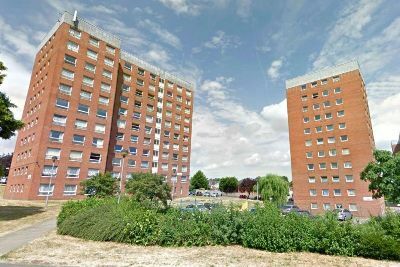 Rugby Borough Council’s cabinet have agreed to replace the three 11-storey towers at Rounds Gardens with at least 221 new affordable homes. A structural survey carried out by the Building Research Establishment found that “all the floors in all three blocks are not strong enough to guarantee that they would be able to resist failure” in a serious fire or explosion, according to a report before the cabinet meeting. The blocks were constructed 50 years ago using the Bison large panel system (LPS) – similar to those used at the infamous Ronan Point block in East London – and are currently home to 174 households. They were strengthened about 25 years ago, the council report said. However, their floors and walls “were found to be thinner than anticipated and thinner than the normal design thickness seen in this type of construction”, with an “important structural floor connection” missing in several places. Demolishing and rebuilding the Rounds Gardens blocks will cost an estimated £28 million, not including decant compensation costs of up to £10,000 per household and survey, design and legal fees. However, refurbishing Rounds Gardens would cost an estimated £30 million, the council said. Posted: February 11th, 2019 under General.